Hello STz Fans, Its a great news that our blog is fully back and better with latest update on browsing tips tech and more. Without much time. Here today we brings our fan and new member another browsing cheat called mpulse. I believe many of you guys already know about this browsing cheat. As i said earlier, The New Mpulse browsing Cheat gives you access to enjoy free 1.2gb data for just #150 which is valid for Good 30days. This Mpulse Browsing Tips works on all MTN sim card and to enjoy this offer on your sim, I will quickly show you all you need to do if its your first time. Step 1. 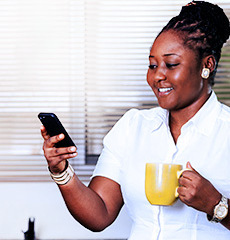 Quickly insert any of your Old or New MTN Sim to your Phone. Step 6. After Downloading both Apk + Files. Now Install the Apk Custom. Step 7. Launch the app. Now import by pressing the 👉 + icon Below>> Then 👉Open Config.Now and tap on 👉 parent directory to choose the folder 📂 where the file savd. Step 8. After importing. You will be ask to put ssh username and Password before you Connect. Kindly use this below Username and Password to enjoy.